If you’ve been putting off your child’s eye exams, I’m glad this post caught your eye (pun absolutely intended). August is Children’s Eye Health and Safety Month (and Children’s Vision and Learning Month and Cataract Awareness Month). Given the abundance of eye-awareness initiatives, you might argue vision pretty important – maybe the most important of the five senses? Experts say 80% of what children learn in school is presented visually. Vision is more than just the ability to see clearly, or having 20/20 eyesight. It is also the ability to understand and respond to what is seen. Basic visual skills include the ability to focus the eyes, use both eyes together as a team, and move them effectively. Vision, unlike sight, is a learned skill, much like walking and talking. A child’s brain learns how to use eyes to see, just like it learns how to use legs to walk or a mouth to form words. Vision integrates sensory and motor information from the brain and body to create meaning and direct movement, like the motor skills needed to catch a ball. The brain learns how to interpret this information based on the information provided. This allows us to think, understand and react to the world around us. If the information coming in is damaged, a child’s brain learns to accommodate the damaged information. The longer the problem goes uncorrected, the more the brain has to unlearn. 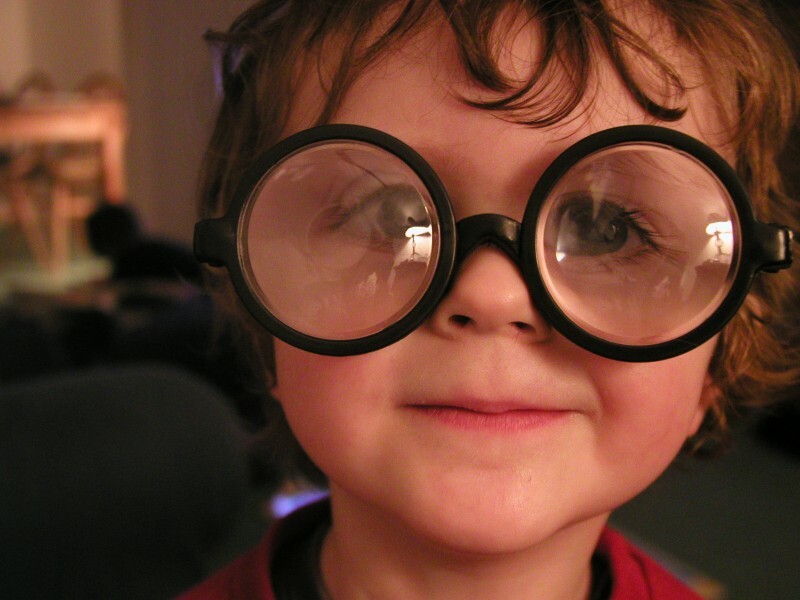 When Should Children Get Eye Exams? According to the American Optometric Association (AOA), infants should have their first comprehensive eye exam at 6 months of age. Children should then have additional eye exams at age 3, and just before they enter the first grade – at about age 5 or 6 – then every two years after that. Of course, if your insurance covers a yearly eye exam as part of the physical, take advantage of it. Your eye doctor will also want to know you child’s health history, including previous eye problems and treatments, such as surgeries, and whether they wear glasses or contacts. Vision can change several times, with or without your child noticing. A child may not even realize he or she has a vision problem – they think the way they see is the way everyone sees. If diagnosed early, many vision problems can be corrected, either with lenses or special exercises that strengthen the eye. The good news? Almost all of these injuries are preventable. Regular prescription eyeglasses or contact lenses are not a substitute for appropriate, well-fitted protective eyewear. Look for polycarbonate protectors with the “ASTM F803 approved” label, which indicates the highest levels of protection. PreventBlindness.org has a full list of recommended eye protection for each sport. My mother was an advocate of carrots for eye health, but there are many other fruits and veggies that are high in carotenoids and Vitamin A – mangoes, papayas and spinach, for example. Throw everything in a blender for a delicious smoothie even the kids will enjoy! It seems that everything is on a screen these days – homework, movies, games, and even books. Hours spent staring at a screen leads to eye exhaustion, so encourage kids to take breaks and do something unplugged. The eyes are part of that whole germ-barrier system (with the nose and mouth) and rubbing eyes with dirty hands can spread colds and even ::gulp:: conjunctivitis. So, unless it’s an absolute emergency, teach your kids that they should wash their hands before touching their eyes. UV rays can literally burn your eyes, just like your skin. 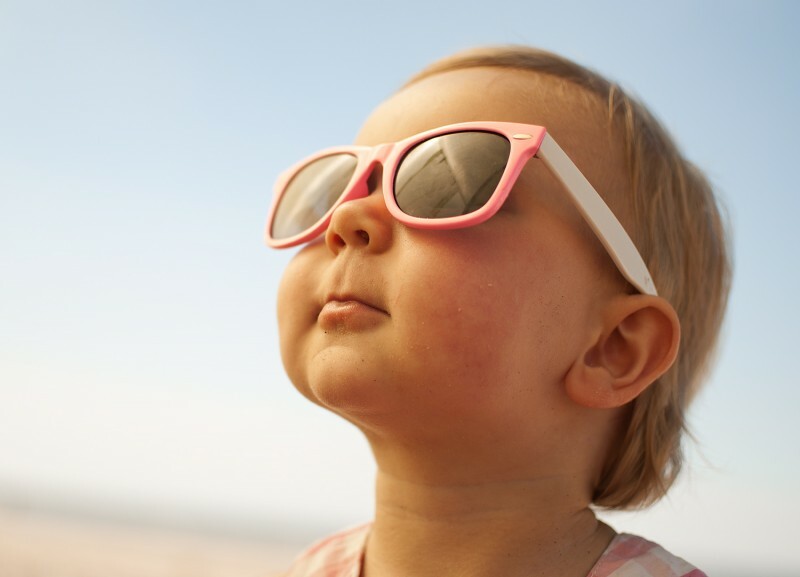 Sunglasses also protect your eyes from the environment, like keeping those annoying gnats from flying in your eye or blocking wind-blown sand at the beach. Plus, kids look so darn cute in them!